In the Courageous Leadership Seminar, Travis Yates discusses the concept that “you are not the hero.” It’s a powerful segment in the day where Yates goes from story to story showing those in the room that real leaders are servants and it cannot be about them. If you want to see a bad example of that, just take a look at the bolstering Broward County Sheriff Scott Israel. From his claim that he is an “amazing leader” to putting his picture on tax payer cars, it’s obvious that there is a significant weak link in this man’s character in regards to leadership. 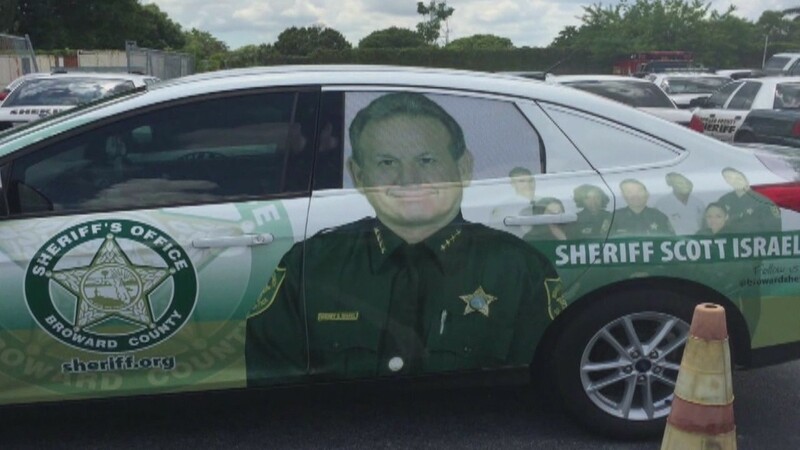 Last fall, five taxpayer-financed Broward Sheriff’s Office cars (above) with larger-than-life images of Sheriff Scott Israel next to his name were supposed to be assigned to members of Israel’s Community Outreach team, which itself has been staffed by several of the sheriff’s campaign supporters. Each day brings additional stories about Israel and in the end, it will be the street cops that suffer.